I am surprised at the divergence of answers that I get: a vast majority of testers respond that they test to find and report bugs, so that the developers can fix them. CIOs, on the other hand are almost unanimous in their desire of knowing the state of readiness of the software. They contend with a very high level of uncertainty about whether or not to introduce updates and/or enhancements into production, because one change can lead to a completely unforeseen impacts in many areas. I have previously read that, “the purpose of testing is to reduce the uncertainty about quality of the system.” In other words, the purpose of testing is to reduce the quality risk of an IT system. Therefore, it is only logical that any testing exercise starts with an assessment of quality risk and where it emanates from. Though no one individual knows all of this, the IT team as a whole has a fairly accurate picture of this. Similarly, people in business – the end users, internal customers, functional consultants would know enough to assess the impact on business if the IT systems of a business process were down for some time (say 12 hours). The challenge for risk based testing boils down to collecting and analysing the information that is dispersed in different parts of the organisation. At Qsome, we have created a unique methodology of collecting the information necessary to perform a risk assessment through a survey. At the beginning of the test phase, the QA manager can launch 2 surveys – one to collect information about the probability of failure from mostly technical staff; and the other to collect information about the impact on business from those who know about the usage of the system for business processes. Qsome’s collaboration platform ensures that the risk assessment activity stays systematic, structured and easy for everyone involved. The system then analyses the survey data and stack ranks the testing priorities, starting from the highest risk processes first. The risk ranking guides the complete testing project, from resource planning all the way up to reporting. The reports that the system generates for senior management, also are based on the risks. 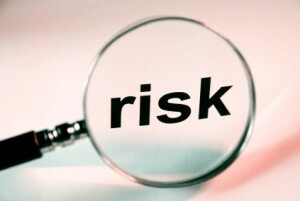 A clear picture of the quality risks enables them to take better informed decisions.